James rebukes the rich landowners who abused God's people and flaunted their wealth as though it provided security for them. In the face of such persecution, James encourages God's people to remain steadfast and patient, looking to the sure coming of the Lord as Christ's promise to remain an ever present help to them. Finally, James sounds the alarm for intense love and community among the brethren. Sing together! Pray together! Those who are sick should call on the elders to pray for them. Those who stumble along the way should be brought back into line by their loving brothers who mutually watch over one another. 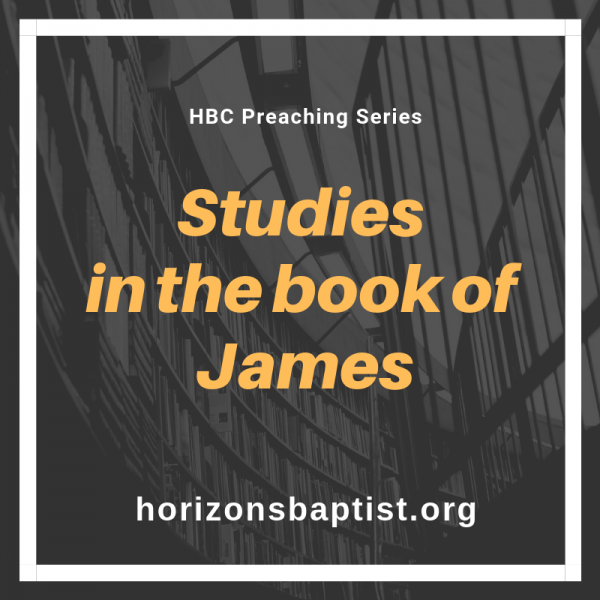 This is the final sermon in this survey of the Epistle of James, preached by Jason Boothe, Pastor of Horizons Baptist Church of Piketon, Ohio. For more information concerning the ministries of the church, please visit www.horizonsbaptist.org.